Cosmetic/Esthetic Dentistry – Could this Benefit You? Are you satisfied with your smile? Is there something you would like to change? Are you unsatisfied but do no know exactly why? The answer may lie somewhere within the bounds of esthetic dentistry. Matthew Nawrocki DMD, MS provides esthetic dentistry treatment to the residents of Orange Park and surrounding communities. In addition, we are dedicated to educating the community about oral health. Feel free to check out some of our past educational posts! Esthetic dentistry is a vast segment of the dental profession. Included in esthetic dentistry is veneers, crowns and bridges, teeth whitening, composite bonding, full smile makeovers, Invisalign, and dental implants. 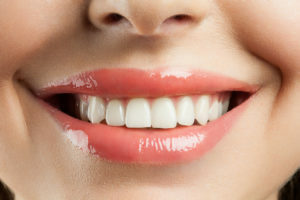 Essentially esthetic or cosmetic dentistry is any segment of dentistry that is dedicated to the creation, replacement, or preservation of the appearance of healthy form and function. Most dentists will tell you that every dental procedure is an esthetic procedure. To an extent this is true. All dental treatments can and should replace the appearance of health. That said, certain treatments can be provided with the sole purpose of esthetic results. What are the Situations that Call for Esthetic Dentistry? There are many situations in which esthetic dentistry can be of benefit. Crooked, twisted, broken, chipped, cracked, discolored, stained, or misshapen teeth can be corrected with cosmetic dental procedures. The results can be transformative. A full smile makeover can combine several of these treatments together to redesign the teeth and surrounding structures. The American Academy of Cosmetic Dentistry has a terrific website that reviews many different cosmetic dentistry procedures. Comments Off on Cosmetic/Esthetic Dentistry – Could this Benefit You?